Grace Place - Illusive Design Inc.
Grace Place Community Resource Centre is a hub of activity in the heart of Brampton. We are the regular meeting space of many community groups, organizations, non-profits, charities and small businesses. 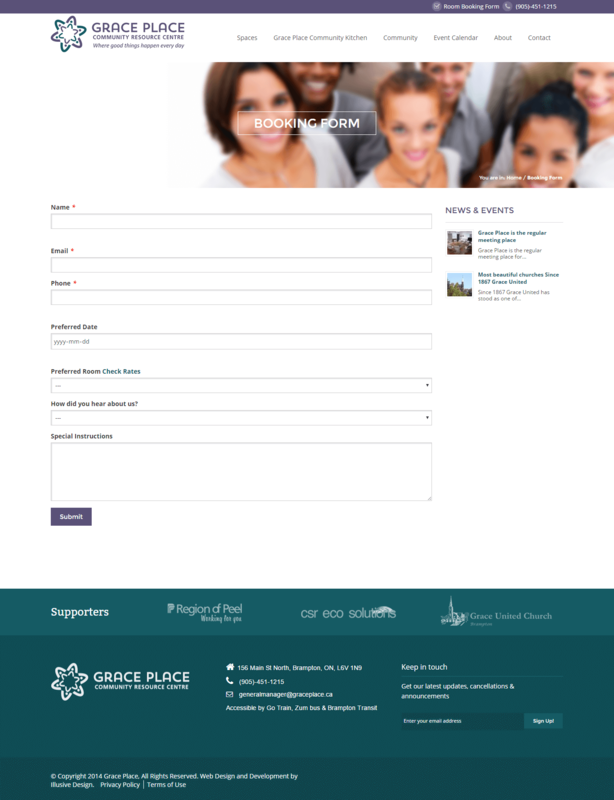 The WordPress custom website design for the Grace Place Community Resource Centre is one that accurately captures their mission statement in every page. As a non-profit organization, online representation is important – especially in the 2010s where the majority of our communication is now done online. The Grace Place website gives the organization a way in which to seek out its customers through search engine optimized content paired with an attractive easy-to-use navigational design. 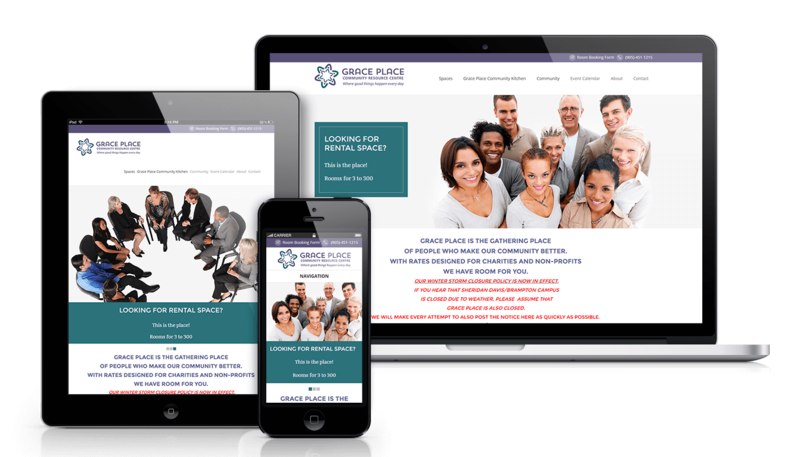 The mobile responsive WordPress design works on any device – giving Grace Place a further reach than ever before. Corporate non-profit organizations who wish to spread their information and awareness to as many people as possible must have a website that is view-able on smartphones, tablets, and nearly any device. The engaging messages encapsulated in the visual design drives the visitor at every step of the way towards action. With a website such as the Grace Place, awareness is the primary target. 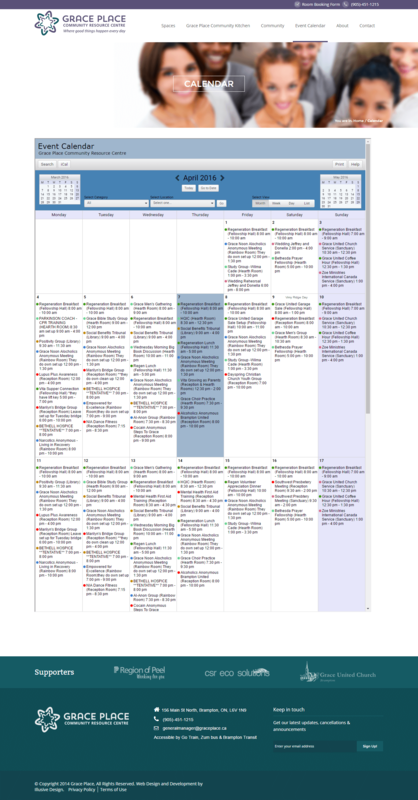 To accomplish this, Illusive Design chose to incorporate multiple features within the context of the site design including an online appointment booking form, a newsletter sign-up feature in the footer, and a news and events featured among content-based customized pages with a video and picture gallery. Through getting the site and the content right, we can position your non-profit to attract more traffic than ever before. Illusive Design’s open, honest, and authentic approach to search engine optimization was based around a long-term strategy to grow this non-profit’s awareness. 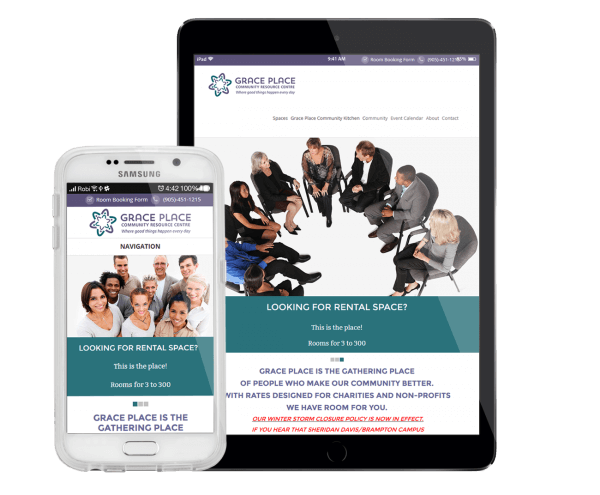 Through a site that was now optimized for mobile platforms as well, the easy-to-navigate WordPress custom build saw Grace Place achieve a site that facilitated new business opportunities for its non-profit organization. The use of search engine optimized content is an area of online marketing that continues to grow, offering better return-on-investment than many other strategies. 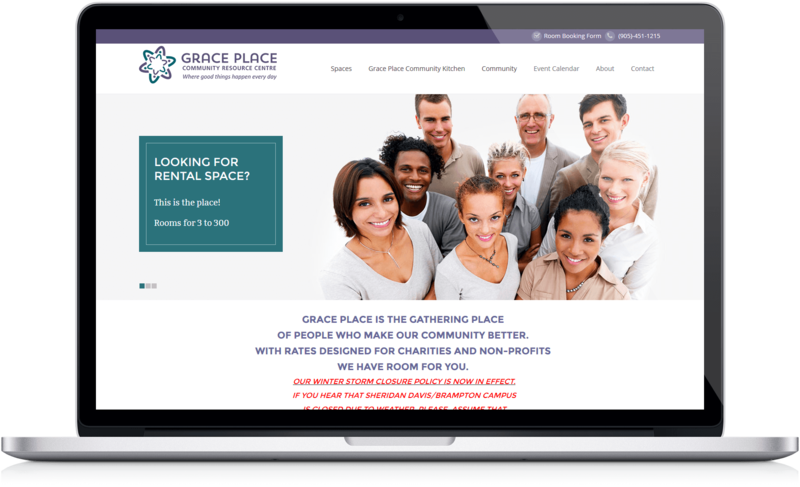 The Grace Place Community Resource Centre saw its non-profit website achieve performance targets amidst strategies that put the focus on user engagement above all else. The personalized and highly targeted content continues to generate leads for the non-profit organization and continues to act as the base for its online representation on a website that has fast, easy-to-use functionality adaptable across multiple platforms.